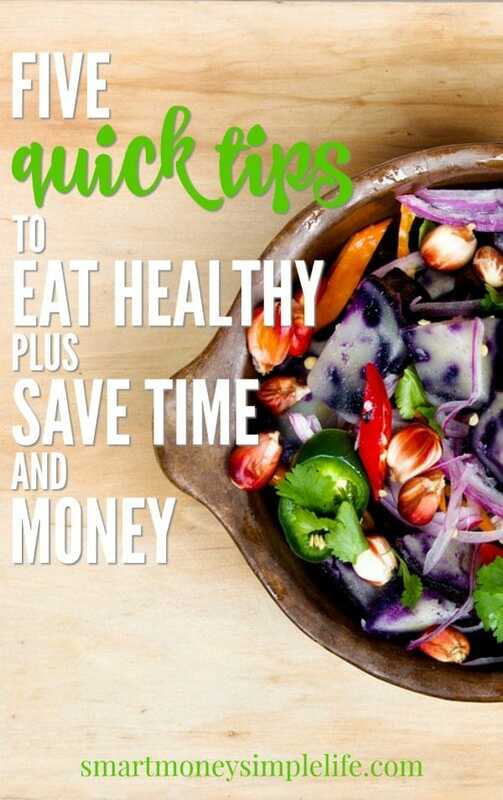 Eating healthy on a budget doesn’t have to be complicated. There are five basic steps that will ensure you avoid the drive through and keep more dollars in your pocket. Each and every week. And the best bit is, they are super simple to implement. Yes, it’s important to eat a variety of foods to ensure you consume adequate nutrients but that doesn’t necessary mean you need to follow a complicated meal plan. Keep it simple by picking a couple of different options for both breakfast and lunch and alternate each day. Most of us are creatures of habit so chances are we’re eating the same things for breakfast and lunch most days anyway. Throw in an extra option or two for dinners and you’ve already taken most of the stress of meal planning right there! Simplifying your options like this makes shopping, prepping and cooking much easier. And, we all know (even if we don’t want to admit it) that the easier it is, the more likely we are to do it. Shopping with a list (and only buying what’s on the list) is a surefire way to stick to your grocery budget. Be very specific about what you need and the amount you need. Don’t leave anything to chance. Check the specials before you go so you can make substitutions before finalising your list rather than on the fly once you’re in the store. And watch out for those ‘reduced for quick sale’ bargains. They can be very tricky. Make sure it’s something you can and will use immediately instead of an item on your list. It’s not a bargain if it goes off before you can use it or it gets shoved to the back of the refrigerator because you don’t know what to do with it. It can be really tough resisting the temptation to buy all those tasty treats in brightly coloured packaging but the truth is, they not only inflate your grocery spend, they also inflate your waistline and ultimately, your medical bills. If you need a treat, plan for it in your meal plan, and preferably, make it from scratch. It’s still a treat but it’s much cheaper and as it’s made with real food, much healthier. Speaking of temptation… Don’t make life difficult for yourself by dropping into the grocery store several times a week. If you can, stick to one visit per week. Not only will you avoid temptation but you’ll also get much better at planning and creating your shopping list when you know you can’t go back to the store until next week. The only exception to this rule is to top up fresh fruit and vegetables. If you can stick to a green grocer for these items you’ll make your life easier, too. Related Post: Your DIY Food Bank – Insurance you can eat! All the planning and careful shopping will go to waste if you don’t actively prep your meals ahead of time. How often do you make unhealthy food choices because you’re tired or busy or slept through your alarm. Take the will power out of the equation by having your meals ready to go when you need them. It also helps to have a couple of emergency meals in the freezer, ready for those nights when the drive through on the way home looks very inviting. We’re all human and prone to take the easy way out when we’re stressed so make healthy food you’ve prepared ahead of time be your easy option not expensive junk food that’s devoid of nutrition. The other reason you need to prepare in advance is that if you don’t have it prepped, you don’t eat it. If you don’t eat it, it will inevitably go to waste. So don’t throw your money away! Try these 5 steps and you’ll be eating healthier and spending less in the grocery store (and the local take out) every single week.